It was a hard image to break, Ursula Andress emerging from the surf in Dr. No, her body golden, her bikini as brief as her lines. But 17 years and 11 James Bond movies later, Lois Chiles, the 30-year-old green-eyed daughter of a Texas oilman, shatters the mould. She doesn't have the body of Ursula Andress, the beauty of Barbara Bach or the controversy of Britt Ekland, but as a Bond girl she does more and says more than all of them put together. 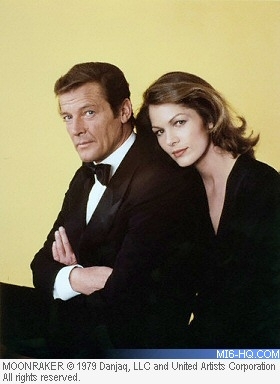 Indeed, the newly released Moonraker may be the first Bond movie where the girl gets the guy, Special Agent 007 who is, for the fourth time, Roger Moore. In stark contrast to tradition - where Bond girls were mostly chose for how they looked between sheets - Lois as Holly Goodhead is a super CIA agent, and astronaut, a scientist and smarter than a computer in overdrive. She is also an established actress, with leading roles in The Way We Were, The Great Gatsby, and Coma. 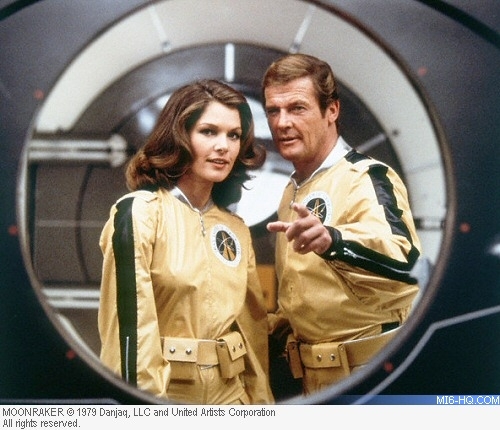 Moonraker director Lewis Gilbert insists Lois' heavy duty here is in keeping with the evolution of women. "In the early days," he says, "Bond came into a room, the girl fell, was plundered, and you never say her again. But seventeen years ago, women were no more advanced in society than they had been a hundred years before that. The way I see it, the Bond girl is a reflection of where women are, at the time the movie is made." Traditionally, feminists have protested the Bond girls have been discarded through the story like wilted roses. They have pushed for women to look "more real." But director Gilbert responds: "Bond, after all, is a fantasy, and you just don't fantasize on plain girls. Everything is beautiful in these Bond movies, not just the girls. The hotel rooms are the most glamorous, as are the guns, the cars, the boats." 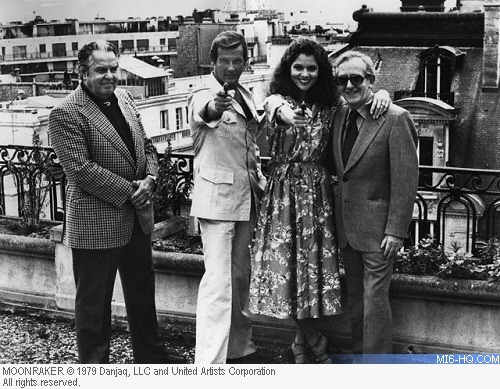 Above: Producer Cubby Broccoli, Roger Moore, Lois Chiles and director Lewis Gilbert. Lois Chiles says she went after the role of Holly Goodhead because it makes her look intelligent. "I just don't think of myself as a Bond girl," she says. "I suppose because I have never thought of myself as glamorous. Oh sure, when they straightened my hair, put on makeup, I can look a certain way. But that's not how I wake up in the morning!" Two years ago she came to Hollywood and started looking for work, "living very quietly, observing, not going to too many parties" When Cubby Broccoli began seeking "a girl with brains as well as beauty" he fixed his attention on Lois who, he says, "went after the role like she really wanted it." Now Chiles has some reservations, not about the role, but with the Bond-girl as a package She is uncomfortable with press interviews, often, to Broccoli's frustration, refusing to do them. She resents personal questions. She hates being recognized on the street. She minimized the value of her own beauty, personally and professionally. "It's really sad to get attached to being pretty, because it doesn't mean anything. What you project has more value than how you look." Nor does she feel challenged by the great number of stunningly beautiful women in Hollywood - literally hundreds of whom she beat out for the role of Holly Goodhead. "They take nothing from me," she says. "I am right for certain parts and other girls are not. I am competing only with myself."